After Davis Brown recently sold a commercial unit on Whitby Road in Ruislip with Andrew Scott Robertson we thought we’d provide some tips for both vendors and purchasers to get the most out of their investments. 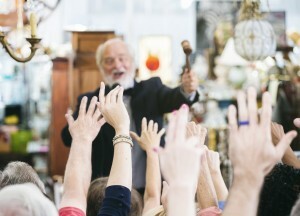 When selling a property at auction the key thing is to be prepared in advance. Remember when the gavel hits the block the bidding is over, there is no negotiation afterwards. Get your property valued! A market appraisal will be a good indicator of its value, and guidance on reserve price. A legal pack with a condition of sale must be included in advance. It is important that all the necessary information is included in advance, so instruct a good solicitor. Before the auction date, interested parties will want to inspect the building or site before they are prepared to bid big money. Make sure as much information is available and that there are opportunities to inspect. The auction room can be an exciting and potentially intimidating place for those who have not attended before. This can result in missing out on an opportunity or getting carried away (maybe getting overly competitive) and end up paying in excess of what a property is worth. The first thing to remember is do your early research. If possible inspect the site and request all information available (such as title documents, planning information, tenancy details, etc.). Remember things are not always as good as they appear on paper! If you are a novice, maybe go as a spectator beforehand to experience the atmosphere and get a feel for how the bidding process works. If you are very interested in a specific Lot arrive early and get a front seat. Auction rooms can get crowded, so you want the auctioneer to be able to easily see you. Stay calm…! If you fail to get the property you were initially going for, don’t get caught in the moment and bid on something you didn’t want, panic buys are often purchases which people live to regret! Remember when the gavel falls the transaction has been made. The successful bidder is required to pay 10% of the sale price upfront. So know your budget… decide on a maximum limit. You don’t want to be sucked in to paying well in excess of what you intended!